For Shelby Stephenson (b. 1938), summers growing up meant long grueling days under the relentless sun—topping, suckering, and worming tobacco, the money crop, then following a mule and drag through the fields to fill that drag with sticky, dirty green leaves. If there was no cotton to pick in the fall, there was tobacco to be graded and tied in the packhouse, dried corn to be shelled for the animals. In winter, he helped with hog-killing and trailed along behind his father and older brothers as they hunted for rabbits, squirrels, or possums for their supper table. Nevertheless, despite those chores, there was time for a solitary boy to wander the woods and fields alone, to daydream by the creek and its branches, to listen to the black hired hands talk trash and tragedy, to just be. The family Bible was the only book in the house, but his daddy was a natural storyteller and the songs he sang told more stories to fuel a boy’s imagination and intertwine with the country music that beamed out from WCKY Cincinnati every night as he fell asleep. He went to college at the University of North Carolina at Chapel Hill. After graduation and five semesters of law school—”Law and I failed each other,” he says cheerfully—, he kept on going. A job with AT&T sent him travelling through seven northeastern states. In 1965, he took a leave of absence from the telephone company to sign up for a special class at the University of Pittsburgh and those four English courses changed his life. “I knew the first night, there in a rented room in Regent Square, that I would stay in words.” In 1966, he married Linda Letchworth Wilson, who would eventually become his best editor. In 1968, they moved to Madison, Wisconsin, where he settled into contemporary literature with a minor in Comparative Literature. He began to write and to send out his poems. In 1974, he received his Ph.D. from the University of Wisconsin and became chair of the English Department at Campbell College. Four years later he moved to Southern Pines, joined the faculty at Pembroke and stayed at Pembroke until his retirement in 2010, editing Pembroke Magazine. I think it says much about Shelby that he edited some thirty-two issues and never printed a single one of his own poems even though poetry poured out of him, gushed like a river of images, memories and music—Hank Williams and hymns. In 1995, Shelby came full circle: back to Paul’s Hill. To bluebirds and the plank house he was born in, to land that has been in his family for more than a hundred years, to the graveyard across the now-paved road where ancestors and slaves share the same dirt. If ever a poet has done that, that poet is Shelby Stephenson. In 2015, Shelby was installed as North Carolina’s eighth Poet Laureate by Governor Pat McCrory. Watch Shelby Stephenson be installed as North Carolina’s eighth poet laureate at The North Carolina State Capitol, Raleigh, February 2, 2015. Watch Shelby Stephenson read his poem “Homage to July the Slave Girl” at the 2014 NC Lit Fest, North Carolina State University, Raleigh, April 13, 2014. Watch Shelby Stephenson sing some Hank Williams tunes at the North Carolina Writers’ Network 2014 Squire Summer Writing Residency, William Peace University, Raleigh, July 12, 2014. Watch Barbara Braveboy-Locklear read Shelby Stephenson’s poem “Their Praise” at the North Carolina Literary Hall of Fame 2014 Induction Ceremony, Southern Pines, October 12, 2014. Click here for a feature on Shelby Stephenson in Bit & Grain (2016). Click here for a long tribute to Shelby Stephenson, following his installation as North Carolina’s eighth poet laureate. Courtesy of the North Carolina Arts Council. Click here for an article about Shelby Stephenson being named North Carolina’s eighth poet laureate. Click here to read Dr. Ed Wilson’s introduction for Shelby Stephenson, delivered at the North Carolina Literary Hall of Fame 2014 Induction Ceremony, Southern Pines, October 12, 2014. Click here to read Barbara Braveboy-Locklear’s comments for Shelby Stephenson before reading his poem, “Their Praise,” at the North Carolina Literary Hall of Fame 2014 Induction Ceremony, Southern Pines, October 12, 2014. 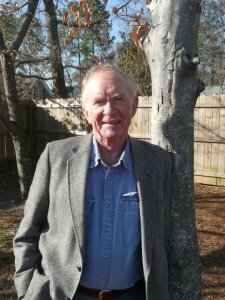 Click here to read Shelby Stephenson’s acceptance speech, delivered at the North Carolina Literary Hall of Fame 2014 Induction Ceremony, Southern Pines, October 12, 2014. Courtesy of Dr. Ed Wilson, Barbara Braveboy-Locklear, and Shelby Stephenson.